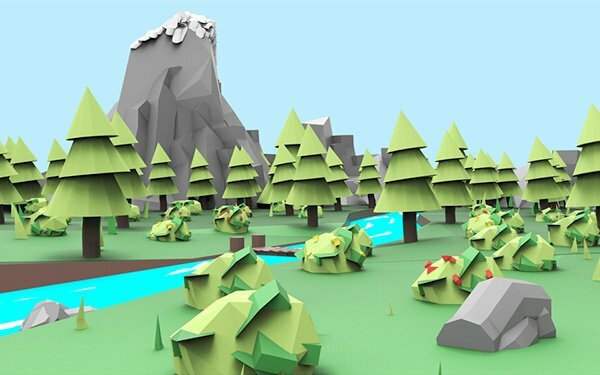 Google just launched a platform for creating 3D objects in virtual reality. The platform, called Blocks, was developed as a tool to bring simple 3D object creation into an immersive environment, similar to Google’s immersive painting offering Tilt Brush. At its core, Blocks is a free VR app for HTC’s Vive and Oculus’ Rift systems. Placed in a simple virtual environment, a user can use a set of six tools to ‘insert shapes, move them, paint them or modify them,’ according to Google. One agency sees an opportunity in using the app when creating content for virtual reality experiences. When models are finished in the app, they then can be exported as 3D object files and uploaded to Google’s Blocks objects gallery where other users can ‘remix’ them under a Creative Commons license. Users can also restrict the remix option on their objects in the gallery. Google also created the same type of gallery for paintings created within Tilt Brush earlier this year. Once they are exported from the app, models then can be used for AR and VR experiences, as well as other web and mobile-based content, according to Google. However, the object files themselves are not optimized the same way as files designed in desktop 3D modeling applications, according to Justin Novak, 3D artist at Isobar U.S.
Novak told the AI & IoT Daily that VR experiences developed with multiple objects made in Blocks would be impossible in some cases due to the computing power required to display the objects. As a result, the best use of Blocks would be during early stages of the production pipeline for immersive experiences, according to Novak. “This is the napkin drawing that you would make to start to plan out something, but it’s not the final concept art or the final product in any way, shape or form,” he said. More than 1,000 original and remixed models have been uploaded to the Blocks gallery. The three largest categories of models are objects, food and drink and animals and creatures. This exploration of creating in VR by general consumers can contribute to the long-term success of VR, according to Meeker, who also heads the agency’s NowLab innovation practice. Meeker said more content and more ways to create content are the key areas that can push VR adoption forward. Blocks seems to address both of those criteria and is geared toward widespread accessibility. “I also feel like it serves a specific purpose because when you do look at the files that people have made, they’re fairly cartoony because that’s the kind of tool that it is,” Meeker told the Daily.